Allaah's Messenger (peace be upon him) was the kindest of men in the same way as he excelled all others in courage and valour. Being extremely kind-hearted, his eyes brimmed with tears at the slightest sign of inhumanity. A Companion, Shaddaad bin 'Aws (May Allah be pleased with him) reported the Apostle as saying: "Allaah has commanded you to show kindness to everyone, so if you have to kill, kill in a good manner, and if you slaughter an animal, slaughter it gently. date and topic of the new lecture was announced. Dr. Adam will lecture on Prophet Muhammad, pbuh, in the University Cultural Season.After welcoming and thanking the audience, she said that she had chosen for her topic Prophet Muhammad, pbuh, . 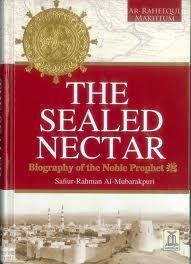 She went on to say, “You might ask why I have chosen Prophet Muhammad, pbuh? I do not intend to probe into these motives, in respect of their values and effect, and whether they are consistent or not. 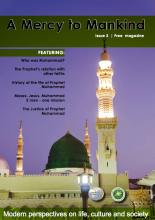 However, it would seem that the fact that Prophet Muhammad, pbuh, has combined all the virtues we have briefly outlined is attributed to prophethood.This is because God Almighty is perfect and has all attributes of perfection, such as mercy, generosity, clemency, majesty, forgiveness, etc., and the Prophet is foremost among people to acquire such attributes of God Almighty. It was time for the Third Lecture, and the audience started coming in numbers exceeding those that attended previously. When Dr. Adam walked into the hall, the audience welcomed her and she reciprocated their greeting. She began as follows:“We can briefly sum up the reasons why non-Muslims have adopted a negative attitude towards the Prophet Muhammad, pbuh, particularly in the Western world.” After a brief silence, she asked whether this was not what the majority of the audience wanted, and whether it was not the subject they expected her to talk about in her third lecture. As to Persian society, to the east of the Arab Peninsula, suffice it to say that the principles of Mazdocism were prevalent and advocated profligacy and illicit marriage between close relatives, making it lawful for a brother to marry his sister. Further east, in India, we find that the woman was burned alive, after the death of her husband, as there was no meaning for her survival after him. The audience who were following these lectures kept arriving in the hall. Dr. Adam arrived before some of them. An observer of these lectures will notice that the Fourth Lecture is different from the previous one. Some of the audience were quite alert. They entered the hall and kept consulting their notes. There were also side discussions, most of which were not heard.Dr. You must all have heard of great leaders and chiefs, such as Alexander the Macedonian, Napoleon and Hitler. This is Dr. Adam’s Fifth Lecture, which we are following and recording. 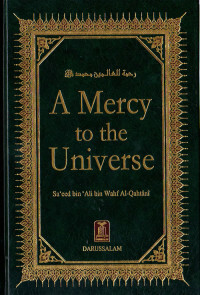 She will continue, as she intimated, her talks on the aspects of the mercy of the Prophet of Mercy, pbuh, towards his companions.“Dear audience, I welcome you all and thank you for coming.” Dr.
Then, the Qur’an went one step further, which many scholars consider to be the first step in the process of prohibition.Scholar Daraz says, “The first step along this road was taken in a word that was revealed in Mecca, a word that had gently touched the hearts. Thus amongst the bounties God has created in nature, the Qur’an mentions the fruits of palm trees and vine and adds thereto: “And from the fruit of the date-palm and the vine, ye get out strong drink and a wholesome food, in this also is a sign for those who are wise.” (Al-NaHl, 67). Dr. Adam began her sixth lecture by greeting the audience and thanking them for coming and said , “I am pleased to continue my exposition of the manifestations of the Prophet’s mercy towards his followers, as there are important aspects that I have not yet dealt with.